Volvo Penta of the Americas conducted a custom training course in Cancun, Mexico. Seventeen technicians from dealers in Mexico and Central America attended an IPS engine training course Volvo Penta held in Mexico. Volvo Penta of the Americas conducted a custom training course in Cancun, Mexico, in the assembly, repair and alignment of IPS engines for its regional dealer network in Mexico and Central America. 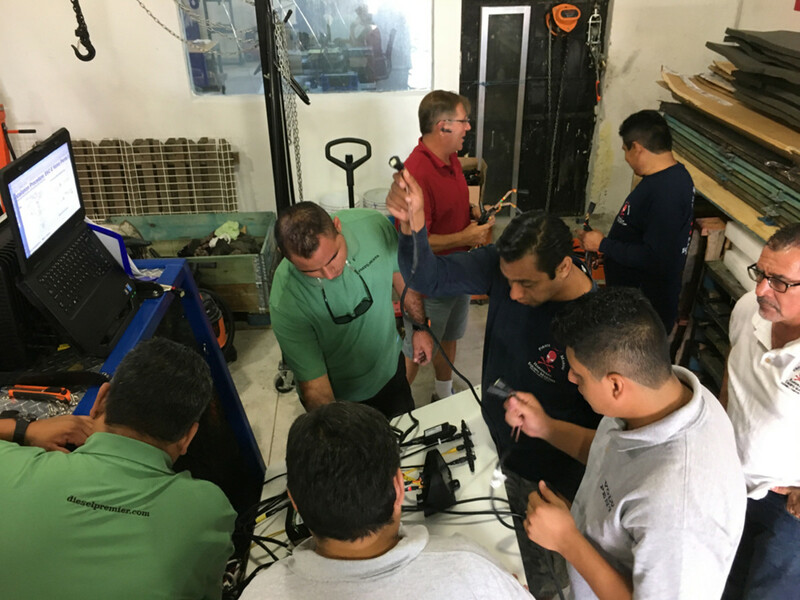 Seventeen technicians attended the series of five-day, Spanish-language classes at Pirate Marine in Cancun. They received full training on Volvo Penta’s IPS forward-facing propulsion system, along with EVC accessories and Vodia diagnostics for IPS. Volvo Penta of the Americas manager of product training Magnus Gedda said the program is part of Volvo Penta’s strategy to build on its dealer relationships in Mexico and Central America. “Consistency in service and procedures is highly important, especially for the boat owner. No matter where they are located in the world, they will receive the same level of service that they have come to expect from Volvo Penta,” Gedda said in a statement. Technicians from Pirate Marine, Volmar, Diesel Premier, Marine Boat Group and Compass Yacht, from Mexico, Borbon Marine in Costa Rica and Alfa Marina in Guatemala attended the course.